I love this time of year when winter ends and spring begins. There is such a sense of renewal and hope. It has warmed up earlier than normal many plants are in full bloom and the spring flowers are opening every morning. Easter is just around the corner. Every year I have an Easter cookie tradition that is a pleasing reminder of days gone by, baking pupa con l’uovo. It can be a sweet yeast bread that is braided around colored eggs or it can be a cookie dough braided around the egg. My Sicilian mother made these every year. It is a wonderful combination that smells so good and tastes great. My favorite part is icing the cookies and topping them with various sprinkles, such as little chocolate eggs, marshmellow bunnies or non-pareils. Blend butter, sugar, eggs and vanilla. slowly add the four and baking powder and milk to bring dough together. Let dough rest in the fridge for an hour. The 118th annual Feast of Maria SS. Lauretana of Altavilla Milicia in Chicago will take place Friday, August 31 to Monday, Sept. 3 on Church Street between the Golf Mill Shopping Center and Golf Mill Park. Between 15,000-to-20,000 people attended the four-day event last year, according to Deputy Niles Police Chief Vince Genualdi. Religious highlights of the festival include the Procession of the Vera, the Flight of the Angels and the pulling of a large ship. The festival also includes secular entertainment, a fireworks display, carnival rides, food, vendors and a beer tent. A group of up to 60 men will carry the Vera, a two-ton altar on a wooden base with a portrait of the Virgin Mary on top, down Church Street. They will make stops for people to give offerings and kiss the face of the image of Mary. After about two blocks, the Vera will be placed between two high scaffolds, where two young girls in dresses — one in pink the other in blue — will be tied by the waist and one ankle onto a pulley system of ropes high above the Vera, where they will “fly” out over the crowd to sing a religious song in Italian. The Vera will be moved several times Sunday, after which additional Flights of the Angels will take place. The story of the shrine to the Virgin Mary in Altavilla Milicia, Sicily started in the 1600s when an image of Mary was looted by pirates. Traveling off the Sicilian coast, the pirates found the painting of Mary in a barrel. They blamed the portrait for the violent seas and believed it was responsible so tossed it overboard near between several Sicilian towns including Altavilla Milicia, Joe Camarda, president of the Maria SS. Lauretana of Altavilla Milicia in Chicago Society since 1966, said. Legend said village leaders from several towns found the portrait of Mary washed up on shore and hitched oxen to a cart, intending to build a church and shrine with the recovered relic from the ship wherever the oxen stopped, Camarda continued. The oxen stopped in Altavilla Milicia where a church was built. Immigrants from Sicily brought the festival to the Little Sicily neighborhood near North and Clybourn avenues in 1900. Angelo Camarada, chairman of the Maria SS. Lauretana of Altavilla Milicia in Chicago Society, said the festival moved to other suburbs, including Rosemont, in the late 1960s and early 1970s, and more recently Berwyn until 2014. The first festival in Niles took place in 2015. Festival Hours are 4 p.m. to midnight Friday, Sept. 1 and Saturday, Sept. 2; noon to midnight Sunday, Sept. 3; and 3 to 10 p.m. Monday, Sept. 4. There will also be a special procession and Mass in Golf Mill Park with a procession at 9 a.m. and mass at 10 a.m. Sunday, Sept. 3. The festival will have other religious observances Saturday and Sunday. The festival will include Italian and pop music Sept. 1, 2 and 4. A group of 40 to 50 men, all members of the Fratellanza Brotherhood, clad in white and maroon, lift the two-ton Vera shrine holding a sacred image of the Virgin Mary at the Maria SS Lauretana Festival in Niles Sunday. Their labor is a sign of sacrifice and devotion to their faith. The annual Corpus Christi Procession will held at St. Ambrose Church on Sunday, June 3, after the 11:00 Mass. Immediately after the Mass, the congregation will begin lining up in front of the church. Parish members will lead the way carrying the cross and candles. Jim Garavaglia will serve as leader and director of the procession in a tradition that started with his grandfather. Last year procession below where, Monsignor Bommarito walked with the Monstrance under a gold-fringed canopy carried by men of the parish. The canopy was flanked along the route by elegantly-dressed Knights of Columbus. Behind them walked the parishioners and friends who are faithful participants annually in an attempt to keep this ancient tradition alive for future generations. Golf carts rolled along with the procession bearing those who no longer had the strength to walk the entire route. A few neighbors came out on their porches or stood along the sidewalks to watch. The procession moved slowly and reverently between the three erected altars set up along the route. Hymns were sung and prayers recited between altars and at each altar the Blessed Sacrament was exposed and the beatitudes recited. The first altar at Wilson and Edwards had a round dome on top and the Edwards and Botanical location had a statue of the Infant Jesus of Prague that was the focal point. The last one on Botanical and Marconi had green garland and bouquets of red roses. Kneelers, on top of carpets, had been placed in front of all the altars for the priests to kneel. At the procession’s end, everyone entered the church for the last prayers and benediction. Monsignor Bommarito invited all to attend the lunch in the school cafeteria. Italy’s far-right Lega party, which won almost 18% of the vote in the general election on 4 March and could form part of the next coalition government, wants to turn a former Fascist party headquarters in Como, in the Lombardy region, into northern Italy’s biggest museum of Modern art, architecture and design. The surprising pledge appears in the anti-immigration, Eurosceptic manifesto of Lega’s leader, Matteo Salvini, who has transformed the former northern separatists into Italy’s leading right-wing party. Culture was largely sidelined in an election campaign dominated by the European migration crisis. Yet Lega’s manifesto, entitled Salvini Premier, devotes three pages to a section called “cultural heritage and Italian identity”, which champions culture as “the strategic asset of our country” and “the industry that can guarantee us primacy compared with the rest of the world”. Blasting Italian museums as disorganised and digitally challenged, Lega suggests consolidating non-state institutions and decentralising the national network. It is also seeking to boost the art trade by lowering VAT on art purchases and relaxing “excessive public control” over antiquities markets. The last, and most eye-catching, of the party’s “medium-term” cultural initiatives is: “The creation of the largest museum of Modern art, architecture and design in northern Italy, in Palazzo Terragni and the adjacent buildings.” The classically inspired cuboid structure, designed by the leading rationalist architect Giuseppe Terragni, was commissioned by Benito Mussolini’s National Fascist Party in 1932 and completed in 1936 as a Casa del Fascio, one of around 5,000 local Fascist headquarters constructed across Italy. Casa del Fascio was conceived as a symbol of the regime. The front courtyard and the atrium were planned to accommodate large crowds at fascist rallies. Terragni worked with the artists Marcello Nizzoli and Mario Radice on decorations including a giant photomontage portrait of Mussolini for the façade—part of a series rejected by the party as insufficiently celebratory—and a marble figure of Il Duce in the conference room. Repurposed after the Second World War, the building has housed a branch of Italy’s financial police (Guardia di Finanza) since the 1950s, and public access is restricted. For years, there has been talk of turning it into a museum. 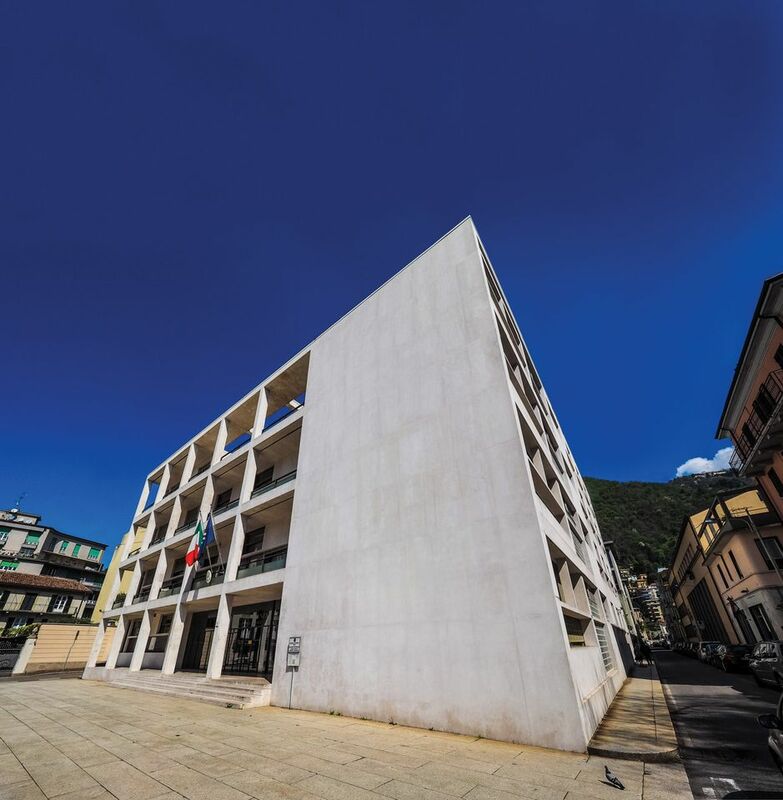 In February, the city of Como took the first step, signing an agreement with Attilio Terragni, the architect’s grandson and president of the Terragni archive, to open the monument to tourists and potentially apply for Unesco World Heritage status. Lega did not respond to our queries about the proposed museum, and its manifesto does not include details of what would actually go on display there. But the fraught election campaign has sparked debate and protests over a revival of Italy’s far right. Salvini made headlines in January for saying in a radio interview that Mussolini had “done many things” for Italy, such as draining the marshlands and introducing pensions. He added that he “prefers democracy” and “hates dictatorships of any kind”. In late February, the neo-fascist group CasaPound threw its support behind Lega. With no majority winner in the election, Lega was due to enter coalition talks led by the president of the republic, Sergio Mattarella, as we went to press. Salvini has reasserted his claim to lead a centre-right government with Lega’s senior ally during the campaign, Silvio Berlusconi’s Forza Italia party, which trailed with almost 14% of the vote. He has also mooted the idea of a previously unthinkable deal with the anti-establishment Movimento 5 Stelle party, which won the largest share of the vote, with 32%. Director, Andrea Segre, Drama, 2017, 112 min. Corrado, an agent for the Italian Ministry of the Interior, will soon find himself faced with a choice: respect his orders and the law, or help someone who is in difficulty. Director, Ciro Fabbricino, Documentary, 2017, 54 min. A journey into the flavors, smells and colors of the Neapolitan gastronomic traditions through the eyes and memory of five Neapolitan cooks. Director, Edoardo Falcone, Comedy, 2017, 90 min. A rich heir believes a con man is his reincarnated father. 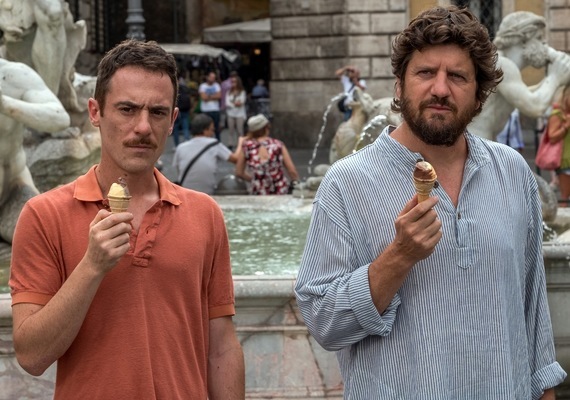 A surprising comedy about friendship. Please pass news of the Festival to your family and friends! Screenings held at Washington University (WUSTL), St. Louis Community College (STLCC), St. Louis University (SLU), and Southwestern Illinois College (SWIC). Sponsored by Volpi Foods, Lou Smith in memory of Jeff LeGrand, the Italian Cultural Institute of Chicago and the Regional Arts Commission of St. Louis. In collaboration with WU’s Program in Film and Media Studies, Dept. of Romance Languages and Literatures, SLU, STLCC and SWIC.. The presentation will provide an overview of the thousands of items of scientific and medical evidence that has been acquired from the Shroud of Turin to date. The presenter will further discuss millions and billions of unfakable items of scientific evidence that could also be acquired if the Shroud was tested at the atomic and molecular levels. This total evidence could have a profound influence in answering some of the most fundamental questions that humanity has struggled with throughout its existence. The very first Hill House Tour is scheduled for Sunday, June 24, from 1 p.m. to 5 p.m. The tour will showcase 12 homes on The Hill, representing various construction styles – shotgun, bungalow and new construction – that have been renovated, updated, improved and new-built to meet the needs of today’s families. In addition, the tour will feature a number of venerable properties which have been renovated and repurposed for new uses. Among these are the former Columbia Theater, completely gutted and redone as a fabulous residence and Arts Foundation, the former Big Club Hall, which now serves as studio space for photographers and videographers, Gaslight, an old building turned cocktail-bar with recording studios and Oliva, another old brick building reborn as an elegant event venue with a delightful attached patio. Tickets will go on sale online on May 14, 2018. Website details will be announced later. Tickets may also be purchased in person at the Hill Neighborhood Center, 1935 Marconi Avenue, which is open Thursday, Friday and Saturday of each week from 10 a.m. to 3 p.m. Cash and checks only will be accepted at the Center. Advance tickets will be $20.00 each. Tickets purchased the day of the event will be $25.00. Ticket sales may be limited. Receipts should be presented the day of the tour at the Center or other designated location where the purchaser will be presented with a tour book that will serve as admission to the tour locations. Panelle (ie pancake chickpea flour ) is one of the most popular dishes of the cuisine of Sicily , or rather, of Palermo. Very easy to make, requiring the use of very few ingredients chickpea flour and vegetable oil for frying. If you wish, you can add a little ‘pepper. In a saucepan, melt cold 200 grams of chickpeas in a pint of flour salt water , making sure that no lumps are formed. Add some ‘of pepper and put on the fire to low heat stirring constantly. Keep on the stove for about 15 minutes, or until the dough will begin to break away from the walls of the pot. At this point, quickly pour the mixture of chickpeas on a smooth and wet surface (such as a marble table or wood) and flatten with a knife so as to make it as thin as possible. Let cool the dough for a few minutes, then cut into rectangles; done this, heated in an abundant seed oil frying pan and fry the fritters until they are lightly browned. So you can eat them, or put them inside a soft bun. However, the result will be great! This article originally appeared in L’Italo-Americano, the national online newspaper, on March 23, 2018. On March 8, the Italian Cultural Institute observed International Women’s Day with best-selling author, Dianne Hales. Ms. Hales’ revealing presentation about the life and achievements of Luisa Spagnoli was a perfect complement to International Women’s Day. This story is actually about two extraordinary women, Luisa and Dianne. At the end of her presentation, Dianne introduced Julia Schloss and Irene Oykhman, mother-daughter team and owners of the Luisa Spagnoli clothing store in the Stanford Shopping Center in Palo Alto, California. Julia and Irene described the Spagnoli garments on display. Her other works include Just Like a Woman, Caring for the Mind, and a leading college health textbook, An Invitation to Health. She has written for many national publications, including Family Circle, Good Housekeeping, The New York Times, and Woman’s Day. Dianne is currently working on a new book called LA PASSIONE: How Italy Seduced the World, which will include impressions and images from her recent interview with the great-grand-daughter of Luisa Spagnoli. L’Italo-Americano was fortunate to meet and interview Dianne. You are a presenter at the Italian Cultural Institute’s International Women’s Day event. This  seems a perfect fit. Could you elaborate on the connection. A few years ago in Italy, I met several members of the Buitoni family, including a wonderful chef named Silvia Buitoni of Perugia. When she realized that I’m from the San Francisco area, she introduced me to her sister Viola, another fabulous chef. Both of them have told me the story of Luisa Spagnoli’s affair with their uncle (or grand-uncle, I’m not sure) Giovanni Buitoni. Silvia drove me to the home and laboratorioof the “other” Luisa Spagnoli, named for her great-grandmother and the maker of the best chocolates I’ve ever tasted. What  motivated your interest in Italy and all things Italian? On my very first, impromptu trip to Italy more than three decades ago, I was captivated by the Italians—but unable to speak with them because the only phrase I knew was, “Mi dispiace, ma non parlo italiano.” As soon as I returned to the United States, I set out to learn Italian in every way I could find—from classes to audiotapes to flash cards. After many years, my literary agent suggested that I write about Italian “because you light up when you talk about it.” When I turned to Annamaria Lelli, the former director of San Francisco’s Italian Cultural Institute, she said, “Knowing Italian simply opens a door. Now you have to walk through it and discover our culture.” And so began a never-ending journey. Tell us about your inspiration to write  La Bella Lingua,  Mona Lisa: A Life Discovered, and your newest book,  La Passione: How Italy Seduced the World. All truly stemmed from a passion—for the Italian language, for Renaissance art, and for Italian creativity and culture. When I was interviewing a former attorney who became a chef in Florence years ago, I asked how her passion for food developed. “We don’t choose our passions,” she told me. “Our passions choose us.” In each case, a passion for Italy seized me, and I couldn’t resist. From the time of La Bella Lingua’s publication, the Italian-American community has offered tremendous support—even though I am not Italian by birth. (My friends in Italy tell me that I have acquired an Italian spirit.). My 93-year-old Dad accompanied me on part of my book tour for La Bella Lingua in 2009. One of my fondest memories is dancing with him—for the last time, as it turned out—at a Sons of Italy banquet in my hometown of Scranton, Pa.
Make plans now for our favorite local circus — Circus Flora! (Yes, they’ve changed their season from a hot, muggy summer to early spring, and they’ve moved down the street!) Show dates: April 19 – May 13. Circus Flora beginnings go back to the Spoleto Festival more than thirty-two years ago. Under that red and white Big Top, they still continue that rich, Italian tradition incorporating original, new artists and techniques. This year’s show is “The Case of the Missing Bellhop” as the plot twists and turns to the delight of the audience. It includes a full cast of characters – including a troupe of trained pigs! For more information and tickets, visit http://circusflora.org. Tickets ($12 – $60) will be available at their new box office opening Monday at 10 a.m./phone: 314-230-9191, or tickets may be purchased through MetroTix (with a service fee). Look for the red and white tent at their new location at 3401 Washington Blvd. — not far from The Fox.